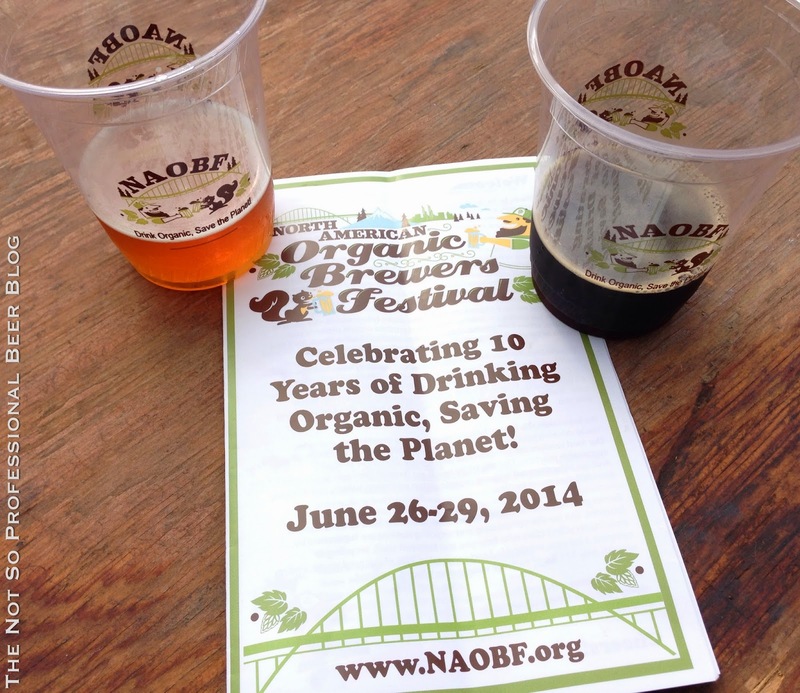 North American Organic Brewers Festival '14 is underway! It opened on Thursday, and closes at 5 pm tomorrow (Sunday, June 29). The weather forecast is calling for dicey weather. However, as most Portlanders know, if you don't like the weather, wait 10 minutes—it's likely to change. Such was the case when I attended on Friday afternoon. It varied from clear, sunny skies to torrential downpour. But it's June, and this is Oregon, embrace it. 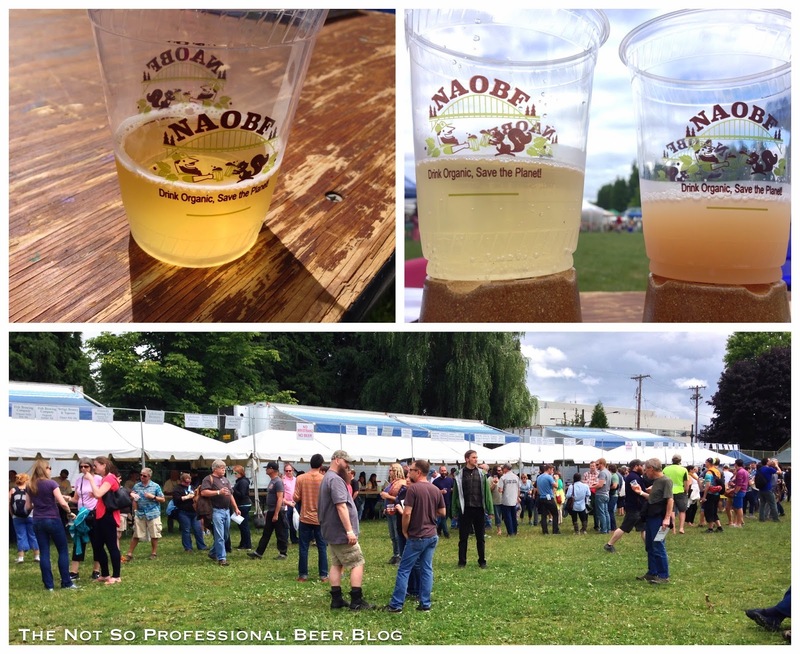 NAOBF has always been family-friendly, but this year they've taken it a few steps further. 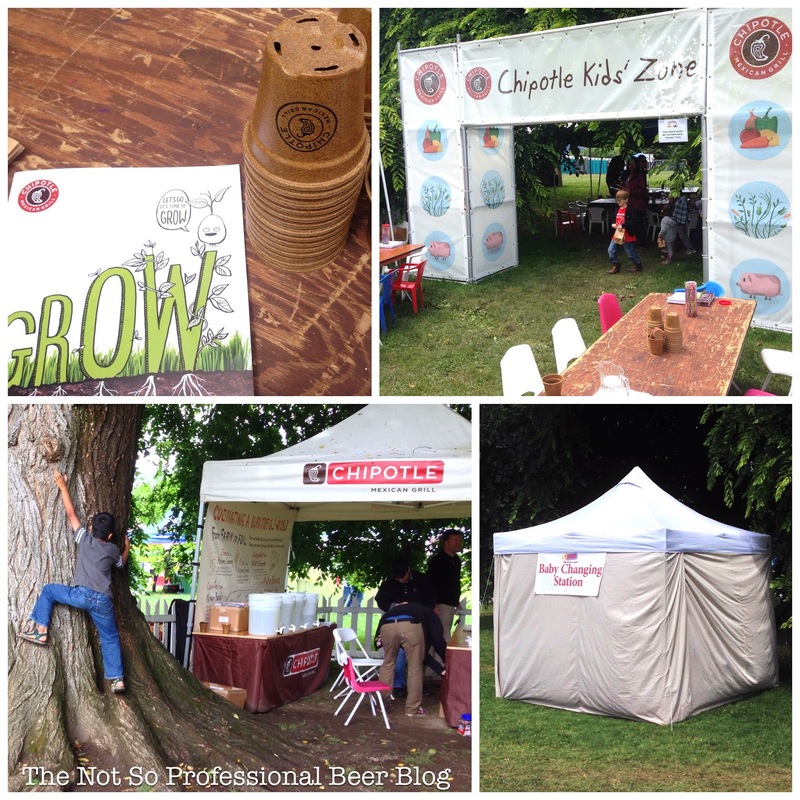 Chipotle is sponsoring an on-site Kids' Zone, where the little ones receive an activity book, a coupon for a free kid's meal, and a tomato planting kit complete with an eco-friendly pot. Once again, free Crater Lake Root beer is available to provide the wee ones with a sugar fix. The kids' area is located under the shade of huge tree near the festival entrance (you can't miss it). Also new this year is a baby changing tent. I'm pretty sure that's never been seen at a beer fest. Thai-Fi, Hi-Fi Brewing, This Pale Ale is loaded with bright Thai Basil aroma and has a strong citrus hop bitterness. G++, Ambacht Brewing, I raved about this beer after tasting it last year. This year's version is good, but didn't match up to the awesomeness of last year's edition. It didn't have the same level of tartness and funk. But, still worth the double tokens though. Space Fruit, Coalition Brewing, Made with 5 different (and unspecified) citrus fruits, this IPA packs plenty of hop flavors. Overlook Organic Heirloom, Reverend Nat's Hard Cider, I can't drink ciders that are too sweet, so this semi-dry cider worked for me. Surprisingly, it's the only single-token hard cider at the fest. I tasted a few of the other cider offerings, and while I enjoyed some, I didn't think they were worth double tokens. Panda Bear Ale, Thirsty Bear Brewing Co., This Golden Ale is infused with vanilla beans and cocoa nibs. Both were prominent in flavor. I'd typically expect these flavors in a porter or stout, so it was a pleasant surprise that they worked well together in a golden ale. Kiwi Strawberry Berliner Weisse, Alameda Brewing Co. I thought it was great, but a friend dumped it out. Try it out and decide for yourself. As I prepare to post this, the sun is shining brightly. So get up and head over to Overlook Park!